Deforestation is an issue affecting areas in many parts of the world, including Costa Rica. Approximately 20,000 acres of land are deforested annually and recent studies indicate that only a quarter of the original forest cover in Costa Rica is still standing. Half of the land is under the protection of national parks and biological reserves, whereas the other half is comprised of indigenous and forest reserves, wildlife refuges, and privately owned plots of land. Despite the creation of many national parks and protected areas, Costa Rica still has one of the world’s highest deforestation rates (3,9%/year in 2007). According to Planeta, approximately 11% of Costa Rican land has been set aside for national parks; that is the equivalent of the US declaring all of Texas and Oklahoma as nature preserves. Many rainforests in Central and South America have been eradicated to create areas for cattle farming, which supply cheap beef to North America, China and Russia. 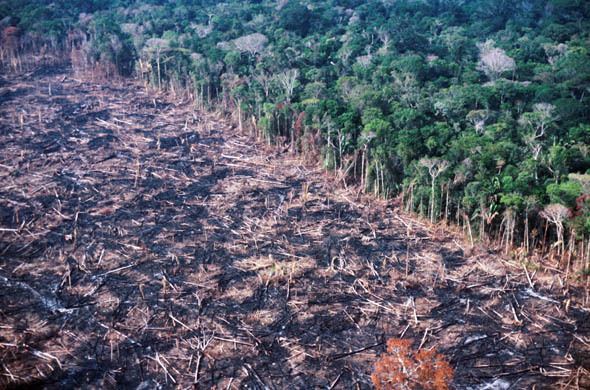 It is estimated that for each pound of beef produced, 200 square feet of rainforest is destroyed. This subsistence strategy is known as slash and burn farming and is believed to account for approximately half of all rainforest destruction. The problem with clearing rainforests is that the soil quality is poor, and without the vegetation it becomes dry very quickly. The grasses often die after only a few years, leaving the land to resemble a crusty desert. 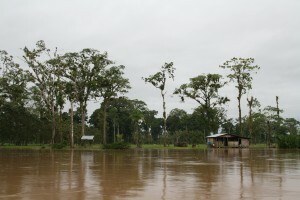 As a result, cattle farmers then have to relocate and destroy more rainforest to create new, productive cattle pastures. Logging is believed to be the second largest cause of deforestation because timber companies often cut down mahogany and teak trees to sell to other countries for furniture production. It has become a problem because current laws are too lenient on land that is not deemed a national territory, and recent amendments to forestry laws makes it even easier to obtain logging permits. The forests are also cut down to create vast mono-crop plantations where bananas, palm oil, pineapple, sugar cane, tea, coffee and other agricultural products are grown. Similarly, the soil is not able to sustain crops for long, and after a few years farmers are forced to cut down more rainforest to create new plantations. The effects of deforestation can be devastating. Not only does it rid the land of its natural aesthetic, there are also consequences such as erosion that are damaging to the environment. When an area is cleared, the soil under the surface is essentially stripped of the roots that provided the foliage with structure and support. Without this support system, the force of water and gravity causes the land to move and as a result creates flooding, desertification, river sedimentation, long-term hydroelectric shortages, loss of wildlife diversity, and the depletion of wood resources. For Latin America there are many upsides, but there are also many struggles that cannot go unrecognized. One of the hardest struggles in much of Latin America is the issue of Deforestation in the area, specifically of the Amazon Rainforest. To those unfamiliar with the subject, Deforestation is defined as the cutting down and removal of all or most trees in a forested area and for the Amazon Rainforest, the issue has raised the most concern. The Deforestation problem has been said to be decreasing over the last 6 years, but according to “Science Daily” the downward trend has stopped this current year (2011). On top of the progress stopping this year, deforestation in Latin America has already dated back to even the early 1900s, when the French Government began building the Panama Canal, so it may be difficult to catch up. While removing trees here and there may not sound all that harmful, it truly is abuse to the lands. It is harmful to plants, animals, humans, renewable sources, the economy, and even the earth itself. The obvious harms are the stripping of plants from rich soil and animals their living homes and needs, but what one might not know is the role forests play in regulating climate. According to “British Academics,” Deforestation in Latin America accounts for almost 53% of the emitted carbon dioxide in the atmospheric air. To put that number into perspective, it is claimed to have the highest rate of emitting carbon in the world from logging. By 2050, environmental experts say that any diseases emitted from the intense deforestation in Latin America will spread worldwide. Even predicted are rises in crop diseases and pest, economic activities severely depleted, and draught and famine will be spread throughout tropical areas, like the once rich Amazon Rainforest. Deforestation has already diminished much of the water sources in Latin America, and the ecosystem is said to continually get hurt. The risk of harm from Deforestation has risen so high that even a 4.7 million euro project has arisen in South America called “AMAZALERT”. A program to forecast what may be happening in the Amazon over the next few decades, and hopefully able to give warnings ahead of time to prevent degradation of the land. The activity of cutting trees down and preparing for timber in use of profit is called logging. This is often done illegally in South America as a business. 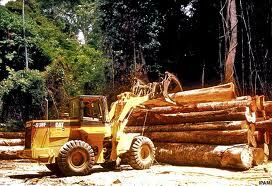 Logging has become one of the current most well-known forms of rainforest degradation and destruction of today. In the 1990s, after depleting most of their own stocks, Asian logging companies have moved into northeastern South America to perform logging, often illegally. Business will cut down massive amounts of forests, killing living areas for plants, animals, and important insects, all to make profits from the timber. This act of deforestation is an ongoing issue today. With such harms done from Deforestation in Latin America, you’d expect it to be easy to stop, but with a massive amount of logging companies in Latin America and outside countries’ economic interest in timber, this dangerous issue may sadly never be resolved despite all the efforts. You may not be able to reach foreign governments and stop deforestation all at once, but there are a few little things you can do to aid in preventing deforestation. Click on the link below for a list of things you can do to help if you are interested. Latin America Music has a way to get everyone’s attention you can say you like the sound and beat. Or a good song comes on so you begin to dance chances are that it has also been to Latin America. Their music is a lot more diverse then Americas you can hear anything from evanescence to some band that I have not heard of. 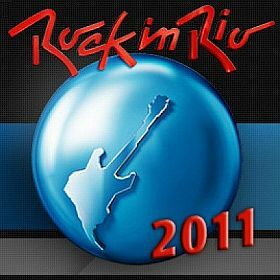 The one event that brings all of those together is Rock in Rio. There are four stages their and it goes for a week with around 100 bands coming there each year as you look around the site you will notice on the top left corner are the 3 languages that page has to translate to for people to read it. It has Spanish Portuguese and English. This shows use that it is diverse and that what we have been talking in class is right. If you look on the chart you will see that some of the groups you may know with others being a group or band that you have not even heard of that just makes the diversity even greater and their culture more knowledgeable then Americas overall. The two biggest music industries in Brazil are Som Livre. The industry started 1969 by Rede Globo. It was originally brought up to commercialize the soap opera industry but later it changed to more of a music industry in general. The feel and look at Rock in Rio is like no other to get you the total feel of it This is Metallica playing at this year’s Rock in Rio. I suggest starting at 5 minutes because you get to see the stage more and get more of a feel on how it actually is there. If you don’t want to watch it all at 24 minutes going to 25 gives a big overview of it from above. Som Livre has bought bands such as Lulu Santos her stage name was Luiz Maurício Pragana dos Santos. She is considered one of the greatest singers and guitarists in Brazilian rock. In 1986 she came up with the song “A Cura” in 1986 wish eventually became the most played song in FM radio of the year. The next company that is big in Brazil is Sony which is also big in the U.S.A. They have given you artist such as Beyoncé and Foo Fighters. Sony started their company in1929 and has eventually grown to have offices in 42 countries. My friend Erika Prochet said the biggest difference between their music and Americas is that probably the beats our music has a special way to dance and most of the time, the lyric make sense. If you go on the links and go around the sites you can see many differences between there music and ours not just the culture but there diversity compared to ours is. The main difference was the diversity they would know a lot of the bands in the U.S.A compared to use not knowing any of theirs. This overall blog post was to get the users informed more about music and get a better diversity of it not just what they hear in America. To also get them aware of what kind of music concerts are out there if you ever visit Brazil you may want to go there and watch it to get more of a feel of what their music is all about. Their music such a bigger diversity just like if you go there you will not just meet people who speak I hope you like this blog and I hope it has drawn you to going out and listening to their music and maybe even catching a concert in Brazil to see how it is different compared to ours. Thank you for reading adios, Adeus. 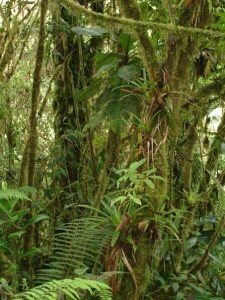 Latin America is commonly known for its pure rain forests and all of the different species that inhabit this area. 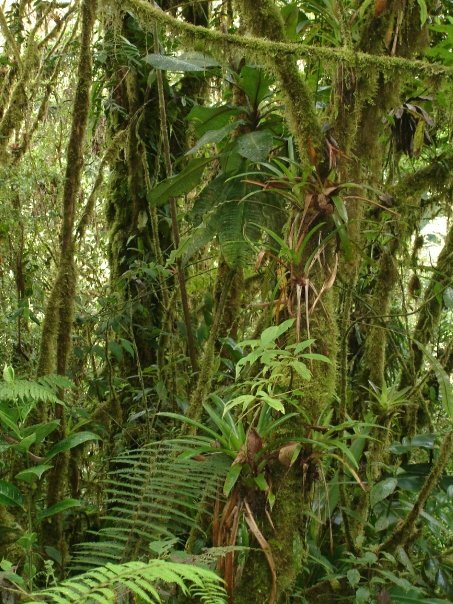 Many scientists consider this region one of the most biodiversity spots in the world, from the Andean Plateaus to the Amazon rainforest and Yasuni Park. Unfortunately, this rich land is being destroyed at an extremely rapid pace in years past and the deforestation issue is continuing to intensify. Deforestation is known as taking away and cutting down forests in order to convert this land into another use. This process is often long-term and permanently damaging to the region, and the areas surrounding. The country suffering the most is Ecuador, who has underwent 1.8 percent annual loss of rich forest, which is the largest loss in all of Latin America. To comparatively see its drastic loss, the world as a whole only suffers 0.1 percent. This pressing problem seems to be caused for several reasons, one being cattle ranching and soy bean farming that is seen specifically in Brazil. Since Brazil has transformed into the main source for meat imports at a 75%, the cattle ranching problem is not a surprise. Along with cattle ranching, Brazil is now equal with the United States in leading soybean exporting, which creates a high demand for arable lands that are found once cutting down forests. Another reason that people are cutting down forests in Latin America is associated with the drug war dilemma going on. Mainly in Columbia, forests are being destroyed in order to grow drugs such as; cocaine, marijuana and opium. The areas where this is being done is often hidden deep in the remaining forests, which is why there’s a possibility there is more deforestation going on than what is known. Since the drug war is far from being over, this will remain to be an issue that will have to be monitored more efficiently. In order to monitor this prompt deforestation, Latin America considered taking several different approaches. One of the approaches being that it is a requirement that 80% of the land in the Amazon be protected and untouchable to anybody. Sadly, recent debates have arisen and this percentage may be reduced because of conflict of interest. Since the dispute occurred, many farmers believed that they would be given more leeway for any deforestation that occurred since the percentage was possibly going to decrease. Actions like this, is directly contributing to the reason why deforestation in Latin America is escalating rapidly and having no stop in sight. An area once known for its beautiful rainforest and rich land is slowly being destroyed into land used for cattle ranching, drug use, farming, and oil and mining industries. This issue must be halted because as the deforestation in Latin America continues to escalate it will soon grow to affect the whole world. Latin America is portrayed as a region that is struggling to grow. You might have learned about their struggles in the past about their negative growth and increased poverty throughout the region. This allowed International Monetary Fund (IMF) to impose very harsh rules on the region’s economy. What this allowed was for foreign agencies and governments, such as the United States and the European Union, to take control of the most successful businesses and reap their benefits. What this did was make the poverty levels sky rocket. When the economic crisis hit the United States and most of the world, Latin America was hardly affected. Latin America has been growing at a steady rate since 2003. They have managed to have booming exports, rising imports, and large scale poverty reduction while the rest of the world is some sort of recession. The largest thing that Latin America is trying to change is the number of people who are in poverty. Brazil has managed to reduce the number of poor people by 30 million. Venezuela and Argentina have increased their minimum wage, pensions, and increased welfare payments for the ones who need it the most. Since Latin America has been doing so well over the past years compared to the rest of the world people are starting to invest their businesses to the region. According to Alfredo Coutino “Latin American countries have learned from their past mistakes and have corrected the imbalance while bringing inflation under control.” They are not completely unaffected by the bad economies in Europe and the United States, but the new policies that they put in affect make outside impacts less affective. One of the countries in Latin America that is growing is Colombia. After decades of being known as one of the worst countries to live in has become one of the hottest investment destinations in Latin America. There are so many foreign nationals coming to the country the country is requiring students to study Mandarin and English. It was reported that in the second quarter of 2011 the Colombian economy expanded by 5.2% y/y. Now that Colombia has become a safe place to live, households hare starting to spend their money they have saved for years. Private spending has gone up 80% just in the second quarter of 2011. This is also helping the country by being able to develop their larger cities. 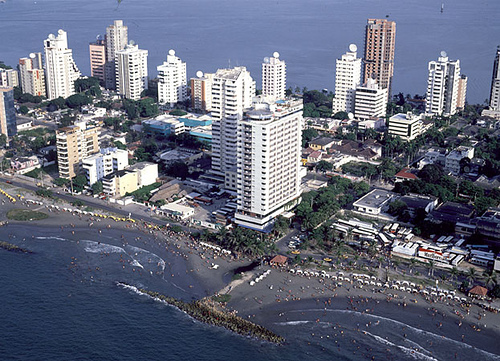 The construction in major cities in Colombia has expanded by 8.8% in the second quarter alone. A growing financial sector is also helping the private spending of families. There is some concern that the banking system is being affected by the indirect exposure to the shadow banking system. Another big reason why Colombia is not affect by the economy of other countries is because of their mining. Colombia has a lot of mineral deposits, from precious metals to oil fields. The reason these are being found and used now is because they are mostly located in remote regions of the jungle. During the civil war it wasn’t safe for anyone to go into these remote areas. Billions of dollars are being poured into Colombia for these resources. For being in such poverty for the longest time, when the recession hit the rest of the world, it was time for Latin America to capitalize. It is about time that they use their own resources to help improve their own countries. For the longest time all their resources were being taken away from other foreign countries. They are now able to get out of the hands of other countries and the IMF. There are only good things that can come out of the wellbeing of Latin America. The “big five” food exporters are United States, Canada, Australia, Argentina and the European Union. As of recently, Brazil has become the first tropical agriculture giant to challenge the dominance of the “big five.” Brazil is able to compete because it is the world’s fifth-largest country by geographical area and the largest in terms of arable land. With advancements in scientific research, Brazil’s agribusiness is growing. Even though Brazil is experiencing an economic boom there are setbacks. Brazil’s advancements in research are needed to give it a chance to compete in world markets and provide food for locals. 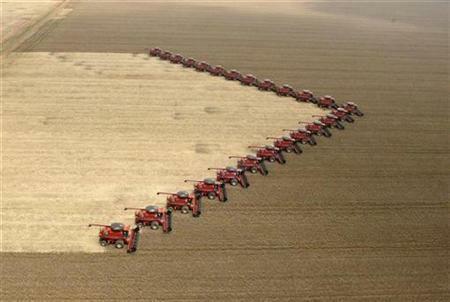 Four decades ago Brazil’s agribusiness didn’t have professional management, capital markets or new technology. Brazil feared it wouldn’t be able to import enough food and lacked in exports to the rest of the world. As of recently Brazil is experiencing growth in agribusiness. Even though Brazil uses only a fraction of its land, the country produces a highly diverse array of agricultural goods (cotton, soybean, sugarcane, corn, potatoes, etc.). Unlike in Europe and the United States where large amounts of subsidies are granted to help farmers, Brazil has taken a different approach. It started through expanding domestic production through scientific research, not subsidies. With no subsidies, Brazil’s farmers are competing with the world market prices. The research is creating plant varieties to adapt to the region’s soil and climate. Brazil is having a lot of success by encouraging small farms and organic practices. 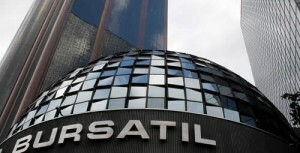 Even though Brazil is growing economically it is having setbacks. Brazil has deficiencies in infrastructure, including poor transportation and storage facilities, and high port costs, which setback the agribusiness. Other challenges include the need to import fertilizers, environmental pressures and labor issues. These are costing the country more money. Another set back is the 10.75% interest rate, according to the Economist Intelligence Unit. With banks reluctant to service high risk sectors, some corporate farms have sought backing from foreign investment funds. 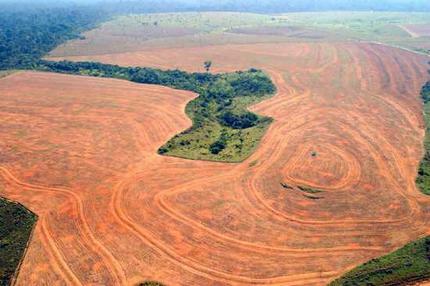 Not only money but there is continual deforestationto the Amazon. 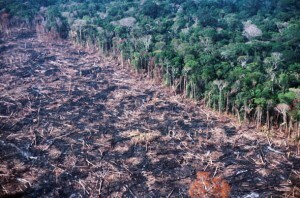 On Mongabay.com they show in 1988 there were 8,127 square miles of deforestation. As of 2009 and 2010 the forests were under 3,000 square miles. Even though agriculture has destroyed the Amazon, their new technologies and higher quality will allow them to produce more crops in the land they already have. Growth will come through better use of existing crop and pasture land, not just the opening of new areas. With the new technology, less land will have to be deforested. “Part of the tragedy that Mexicans are living has to do with the fact that we are alongside the biggest consumer of drugs in the world, and at the same time, the biggest vendor of weapons in the world, which pays billions of dollars every year to the criminals who supply them with narcotics. These … dollars end up arming and organizing the criminals, and places them in their service and against the citizens. 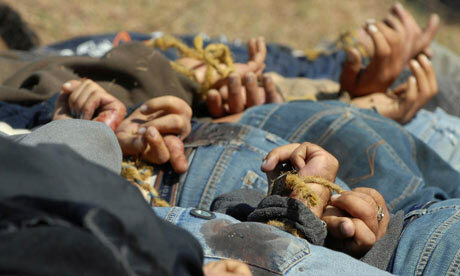 The issue of violence and the drug cartels is becoming an ever growing problem in Mexico. It is affecting the Mexican community in many ways. Thousands have lost their lives and families during the war on drugs. The war on drugs has also influenced younger people’s views towards security and punishments. 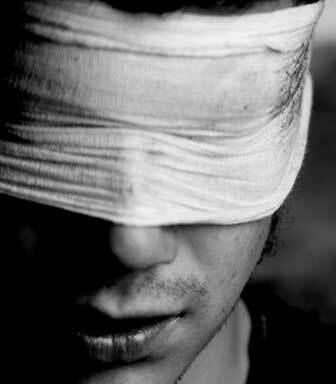 According to a survey by the National Autonomous University of Mexico in August, young people from the age of 15-19 years old were the largest group of the sample population to approve of the use of torture and the death penalty to receive information and punish the cartels. In June the Global Commission on Drug Policy issued a report urging governments to decriminalize drug consumption and even the legalization of certain drugs, namely marijuana. The report came about from the current strategies in the war on drugs resulting in more than 38,000 deaths in the past 4 and half years in Mexico and the over $1 billion in aid received from the United States. However, President Felipe Calderon and the Mexican government have many times stated they to do not agree with the legalization of drugs, but are still open to debate on the issue. Besides the last two years, now, the annual Mexican migration into America has been increasingly larger. Legal migration or not, the hope of the “American Dream” still lies in the hearts and minds of thousands of Mexicans as they make a treacherous journey into America. As data shows, from the article “A Right to Move-and to Stay Home”, by Joseph Nevins, the number of migrants dropped from over 500,000 in 2004, to just around 100,000 this year. (https://nacla.org/blog/2011/7/13/right-move—and-stay-home)The large drop-off is a direct result of the Clinton, Bush, and Obama efforts to put a stop to the illegal migration, but another underlying and even more substantial factor is the economic boom Mexico is experiencing. Now, one might wonder what is powering and heightening the Mexican economy? 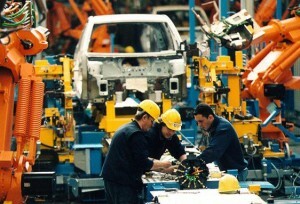 In conclusion, the strides Mexico has made industrially have stimulated their economy encouragingly in the past year. Compared to the usual economic powers, such as the U.S. and Britain, Mexico has had a larger growth rate than both. As a result, the Mexican middle class has also expanded and therefore shortening the large gap between the rich and poor. At the same time, the middle class’s higher incomes infuse more money back into the economy, increasing their national GDP. Kidnappings have always been a major issue in Mexico. However, since Felipe Calderón, the current president of Mexico was elected in 2006, it has gotten worse. Even though kidnappings are mostly an issue in Mexico and other countries around Central America, some cases have occurred in Arizona during the past years. Crime in Mexico has gone up by almost fifteen percent in 2011. This is a response from the drug cartels to Felipe Calderón and the Federal Government who are trying to fight them. Trying to fight cartels is very complicated since authorities are sometimes part of them, too. Calderón is the first President that is trying to do this and trying to end a long lasting corrupt government in Mexico. Numbers of reported abductions keep going up every day, especially in Mexico City and in El Estado de Mexico. Statistics show children and young adults are usually more targeted for kidnappings. Tourists and wealthy businessmen come after. There are three common types of kidnappings in Mexico. The first one is abduction of children. Kidnapping children can be done in either a sophisticated way or in a non- sophisticated manner. A sophisticated technique is when members of a gang follow families for a long time to know their daily routine and then abduct the child. Once the child is abducted, they ask for ransom in return. Non-sophisticated techniques are employed through the use of public transportation and taxi cabs. Something that is becoming more common is the use of taxi-cabs to kidnap children. The most common one out of the three would be express kidnappings. Lately, kidnappings have become more organized and professional whereas before most abductions were made by gangs and small groups of delinquents. It consists in abducting someone, and then taking something valuable from them, credit cards, jewelry, cellular phones, and etcetera. Kidnapping for ransom would be the last one. Well organized gangs are usually the ones to kidnap for ransom. Most targeted people for this type are wealthy families who can afford to pay ransom to rescue the person that has been abducted. A 13-person gang who used taxis in order to kidnap people was caught earlier in September. They did express kidnappings and also kidnappings for ransom. There have been thousands of kidnappings in Mexico during the past years. One of the most famous ones is the Rubén Omar Romano one. Romano is the coach for one of the most important professional soccer clubs in Mexico. He was found sixty-five days after his abduction in a “casa de seguridad”, this is the name for the house kidnappers used to keep their victims so that no one can find them. One of the kidnappers that was arrested happened to be the same one that had participated in the kidnapping in 2002 of Laura Zapata, the sister of a famous singer in Mexico, Thalía. Romano was found by the AFI, Agencia Federal de Investigaciones (Federal Investigations Agency). The AFI deals with most of the kidnappings for ransom that happen in Mexico. Another example would be the abduction of the mayor of a city outside Monterrey on August, 2010. He devoted his life to fighting drug cartels. He was tortured and killed after he was kidnapped. People in Mexico have attempted to stop violence in many ways. More rigid sentences for delinquents are an example of one of them. Songs by famous singers like Ricardo Arjona’s “La nena”, based on a true story about his niece who was abducted, and books like Jayne Valesca’s “We have your husband” are also examples of people’s attempts to stop this. Her book is based on the true story of her husband who was also kidnapped. Some scholars predict violence in Mexico, especially abductions, will continue to rise until Calderón gives up the fight against drug cartels. For many years now the Mexican government has been fighting a gruesome and bloody war with drug cartels. These cartels have been around for decades, but since the demise of two very important Columbian cartels, Mexican cartels have grown in size and strength. Their location has allowed them to dominate the illicit drug market in the United States and this is estimated to bring in between 13.6 to 48.4 billion dollars annually. And not only are they at war with the government, but they are at war with themselves. The cartels in Mexico change leadership and alliance often, but five of the largest and most powerful cartels are the Tijuana cartel, the Gulf Cartel, the Juarez cartel, the Sinaloa Federation, and the Zeta cartel. 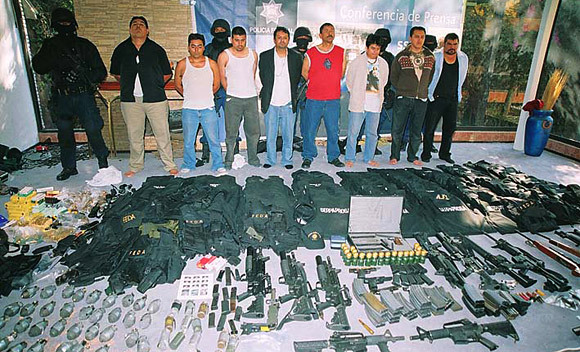 The Tijuana cartel is currently led by Luis Fernando Sánchez Arellano and was once the strongest of the cartels, but recently has somewhat weakened. Tijuana has infiltrated the Mexican government and is responsible for much of the trafficking to the U.S. This cartel is widely known for its extremely violent character. The Gulf Cartel is led by Jorge Eduardo Costilla Sánchez and is currently considered one of the most powerful cartels in Mexico. This cartel has made an alliance with the Zeta Cartel and is also a big supplier of illicit drugs to the U.S. It traffics many drugs including cocaine, marijuana, methamphetamine, and heroin, and it imposes taxes on anyone passing drugs or aliens through Gulf Cartel territory. This cartel is also widely known for its violence and commonly uses methods such as kidnapping for ransom. The Juarez cartel controls one of the main transportation routes for the majority of illegal drug trafficking, but has lost a good amount of power since the death of Amado Carrillo Fuentes. The Sinaloa Cartel has taken a great deal of its territory and is growing in power. These gangs are constantly at war, and will often times leak information about the whereabouts of an enemy cartel to the police as a means of revenge. The Zeta Cartel is one of the most powerful cartels in Mexico, and is currently in alliance with the Gulf Cartel.This cartel is famous for their ruthless and violent tactics, and just several weeks ago they were targeted by another gang in retaliation for their violent and careless massacres of innocent civilians which is frowned upon by most drug cartels. Both the Mexican and U.S. government have taken measures to shut down these cartels, and seem to be approaching it with a new and intensified vigor. In Mexico, President Felipe Calderón was elected in 2006 and got down to business by sending 6,500 troops to Michoacan to terminate the drug violence existing in this state. Since then, the cartels and government have been at war and an estimated 40,000 people have been killed as violence rates continue to rise. In 2009 the United States created the Merida Initiative which has supplied hundreds of millions of dollars to Mexico as well as Central America, Haiti, and the Dominican Republic. Though both governments have made a huge effort to eliminate these drug cartels, they continue to thrive. Despite the 40,000 death toll and hundreds of millions of dollars spent, this war is far from over.